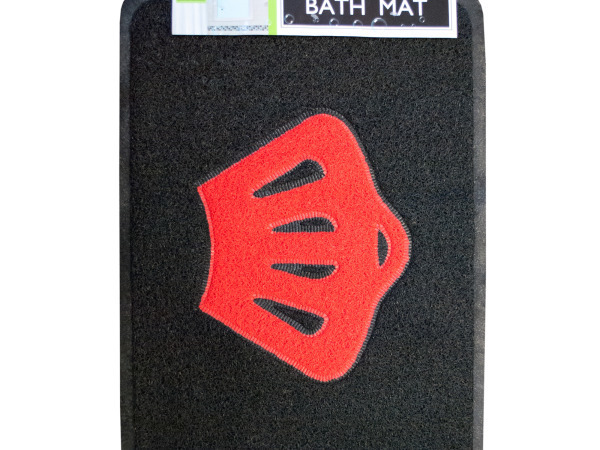 Great for using inside showers and tubs as well as outside on the floor, this Crown & Soccer Ball Kids' Bath Mat features a cushioned mat made of durable, soft plastic with a fun imprinted graphic of a crown or soccer ball. Spongy mat dries quickly and is easily cleaned. Measures approximately 19" x 27". Comes in assorted styles and colors. Comes packaged to a hanging panel.